Going along with the automobile industry boom in the Indian car industry, French manufacturers Peugeot didn’t want to be left far behind. It can be recollected that Peugeot had a brief fling with India 13 years earlier. Lately the company has been scouting for locations to set up its plants and company officials have been seen visiting Tamil Nadu and Andhra Pradesh states in India. Last month, those company officials were seen having talks with Andhra Pradesh Chief Minister N. Kiran Kumar Reddy. The CM is ready to provide the company with that location and also upfrontly has offered a location near Nellore and the new international airport coming up in Andhra Pradesh. In all, the French car makers look set to have shop in 3 locations and all in Andhra Pradesh region. The third is estimated to a Special Economic Zone (SEZ) near Chittoor or Tirupati. If all the plans do come through, then India would be its world hub for exporting cars hereon. 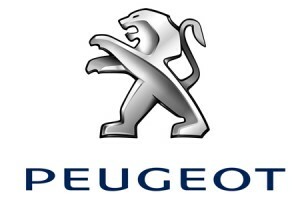 Earlier, Peugeot had teamed with Premier Auto Pvt Ltd and had given India, the Premier 118 NE and the Peugeot 309. In the first phase, the company would be investing close to Rs 2,000 crores. As of now, the company looks set to enter India on its own. It has been in talks with local dealers and the first set of cars would most likely be Semi Kitted Down (SKD) units. Setting up show rooms and sales service centers is another headache that the company would be faced with. It is a good thing that people still remember the company on a good note and this would add to the feel good factor about coming back to India on a grand scale.